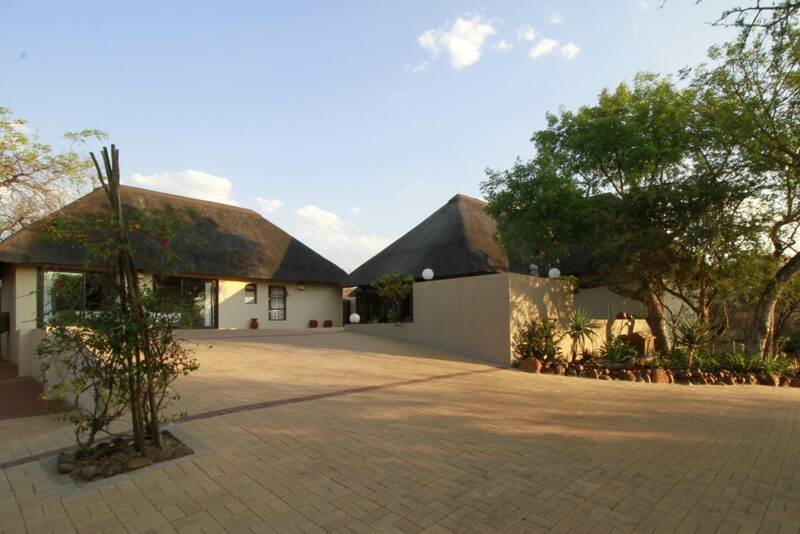 This well-maintained home consists of a 3-bedroom house plus two en-suite guest rooms with outside entrances. 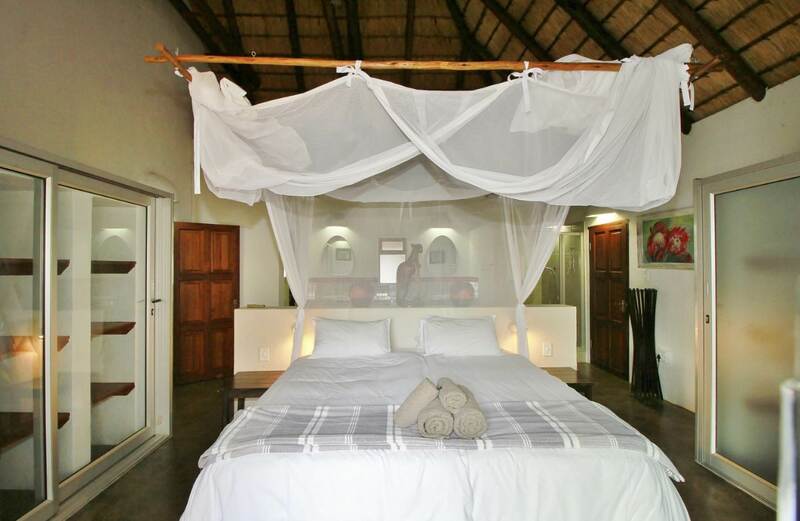 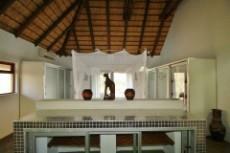 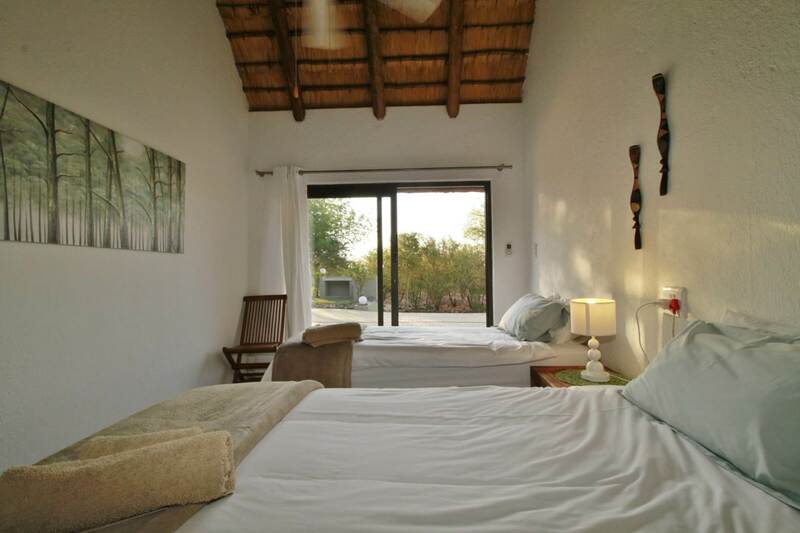 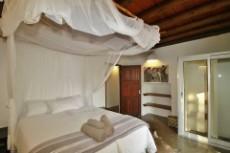 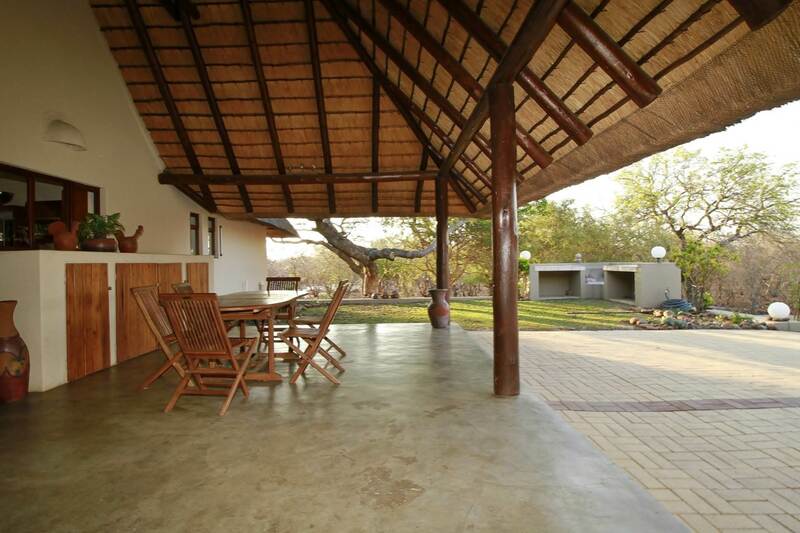 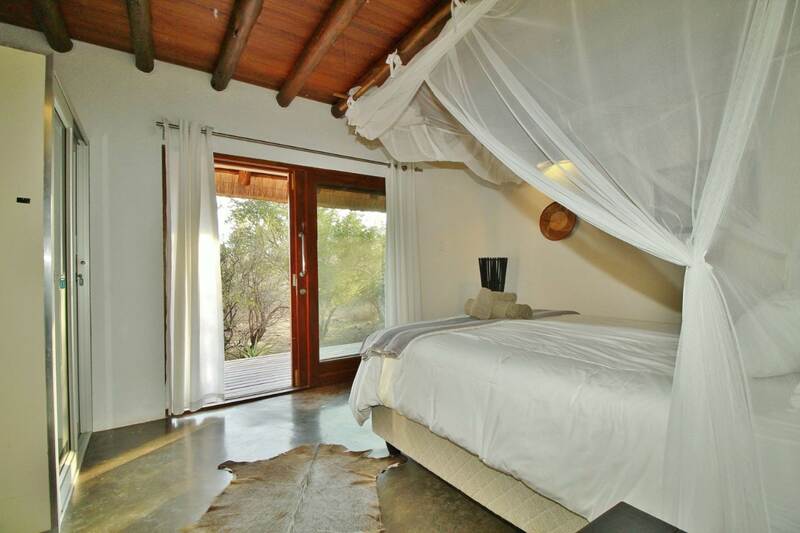 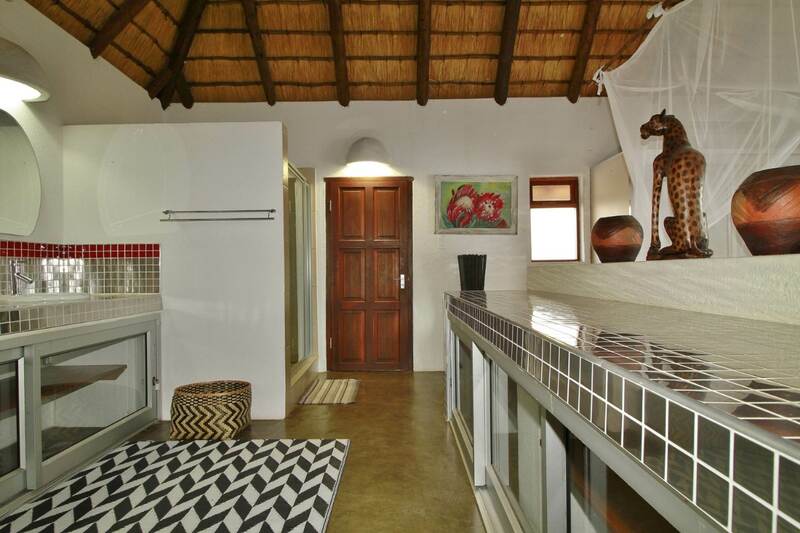 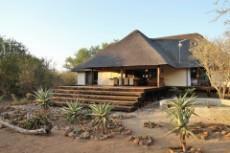 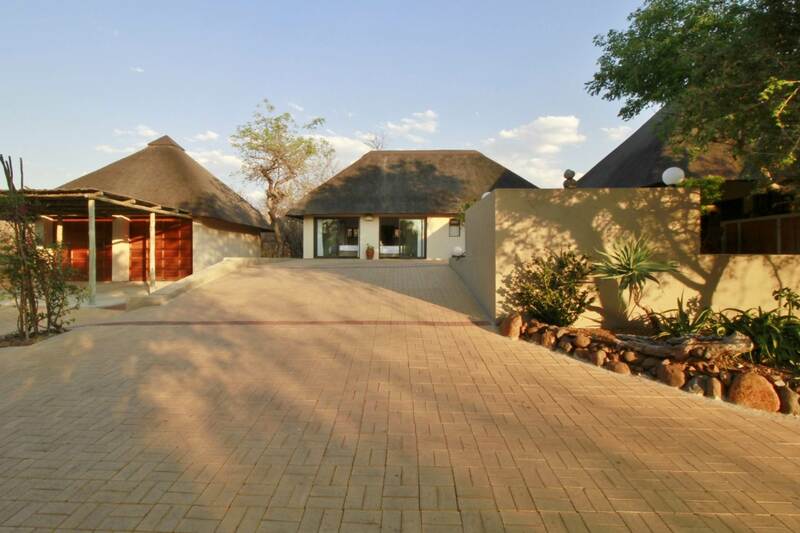 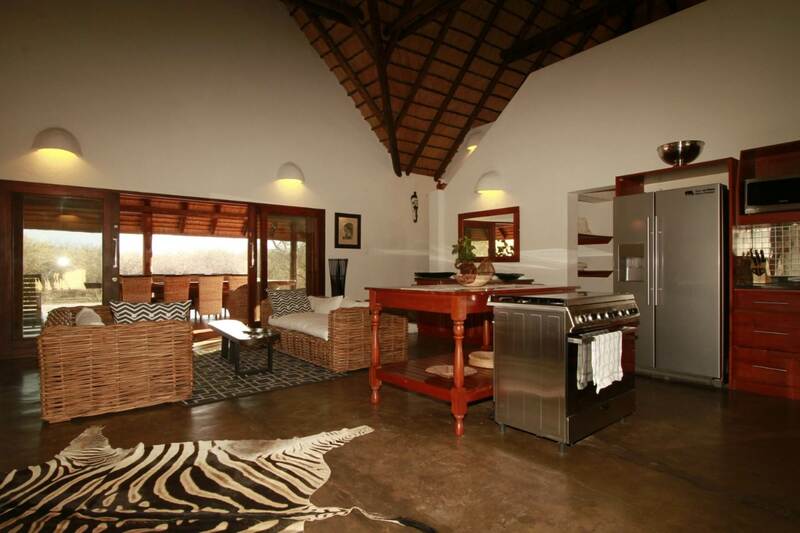 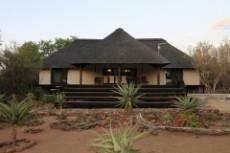 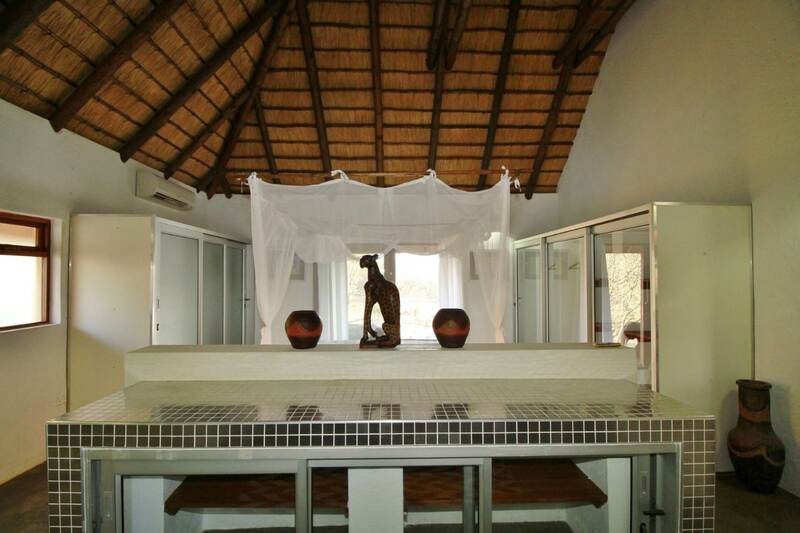 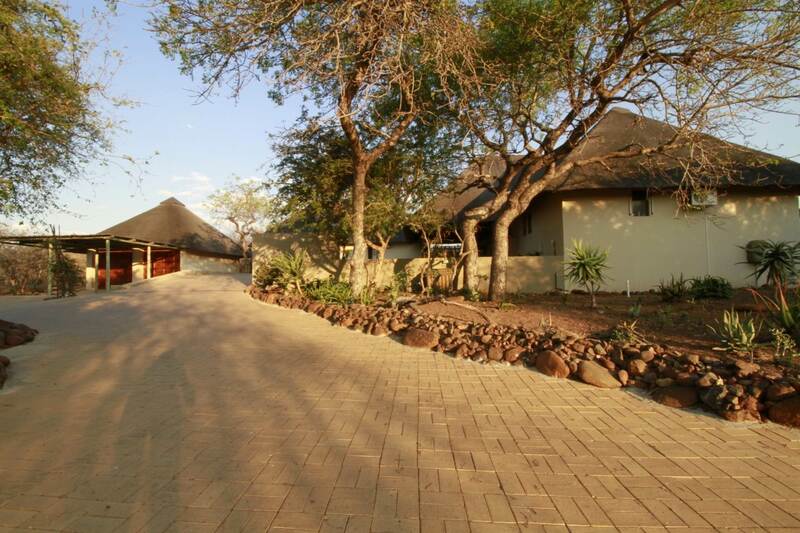 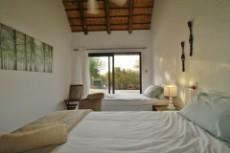 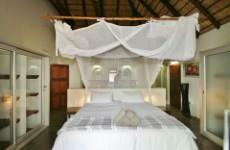 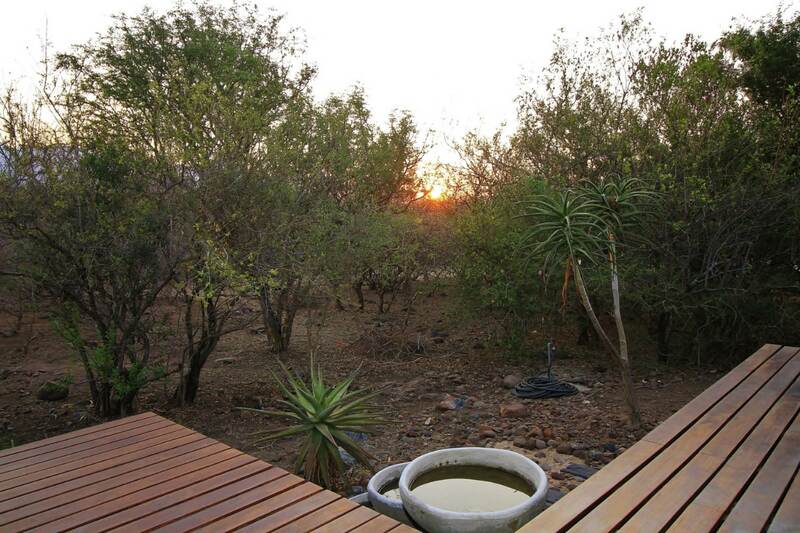 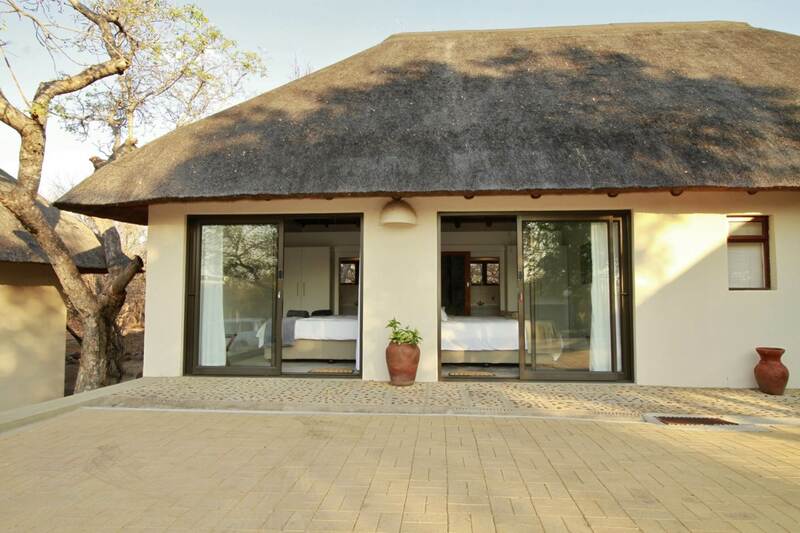 In total there are 5 bedrooms and 4 bathrooms of which 3 rooms have en-suite bathrooms. 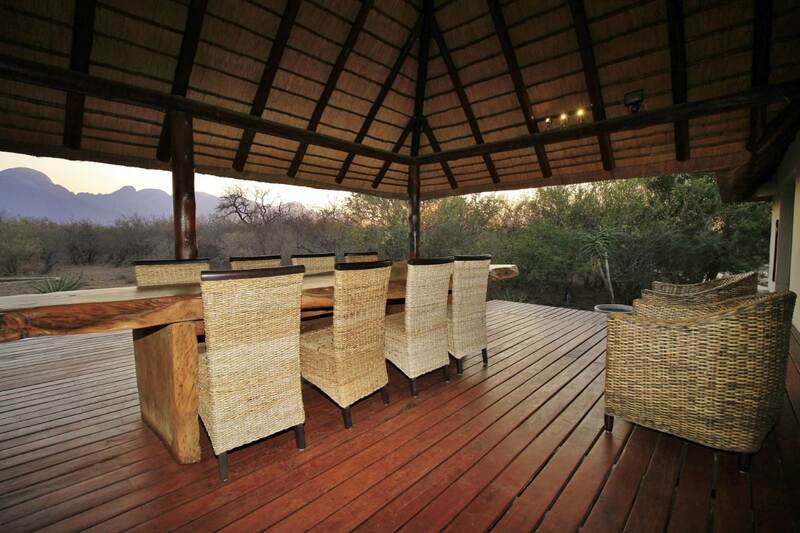 The open plan lounge leads to an undercover deck with breath-taking views of the surrounding Drakensberg mountains. 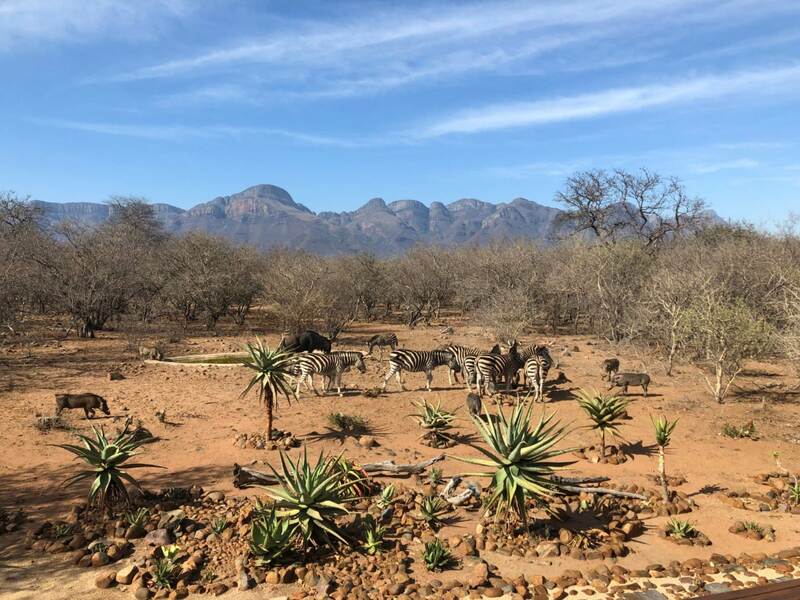 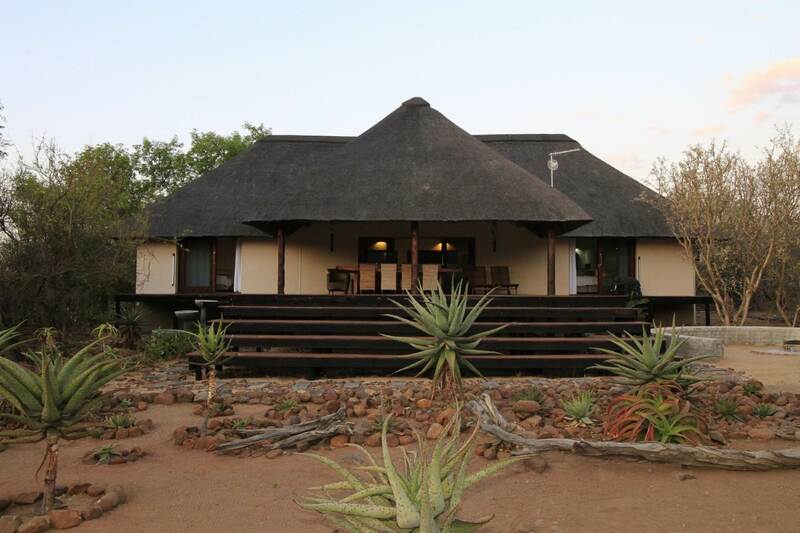 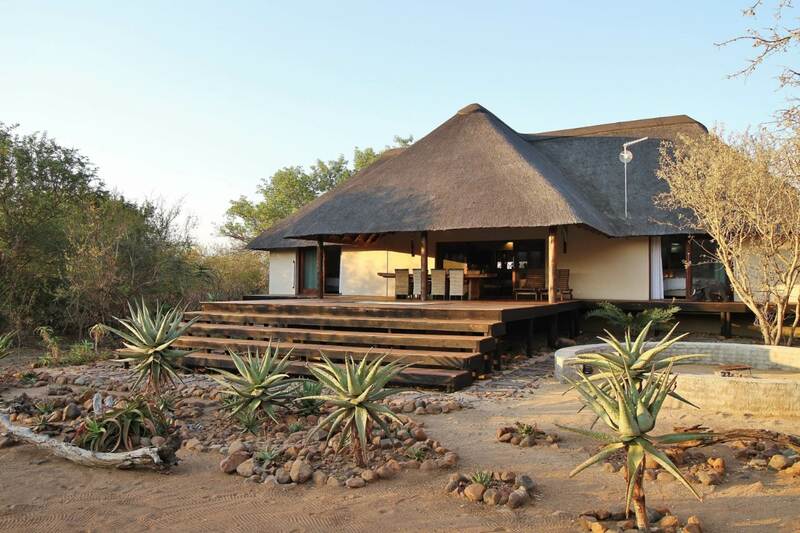 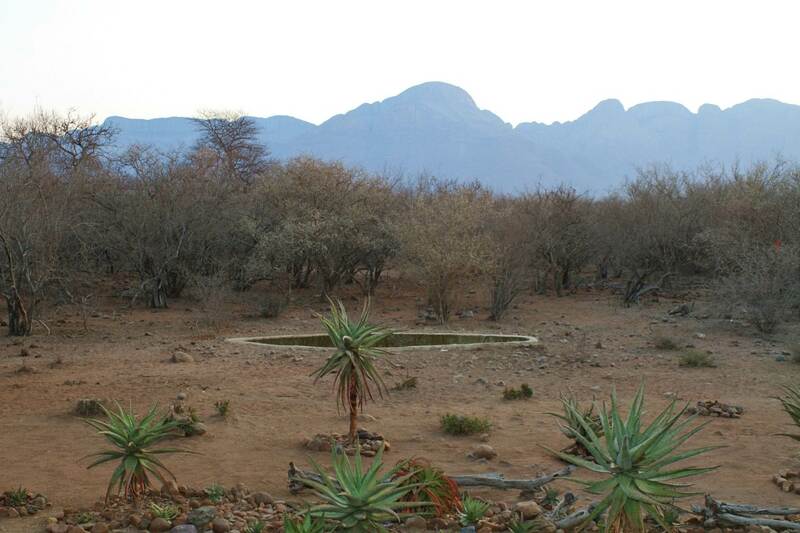 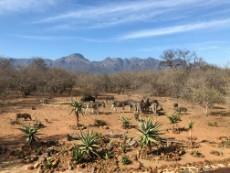 The waterhole in front of the house is frequented by the resident plains game which includes giraffe, zebra, eland, nyala, impala, wilde bees and duiker. 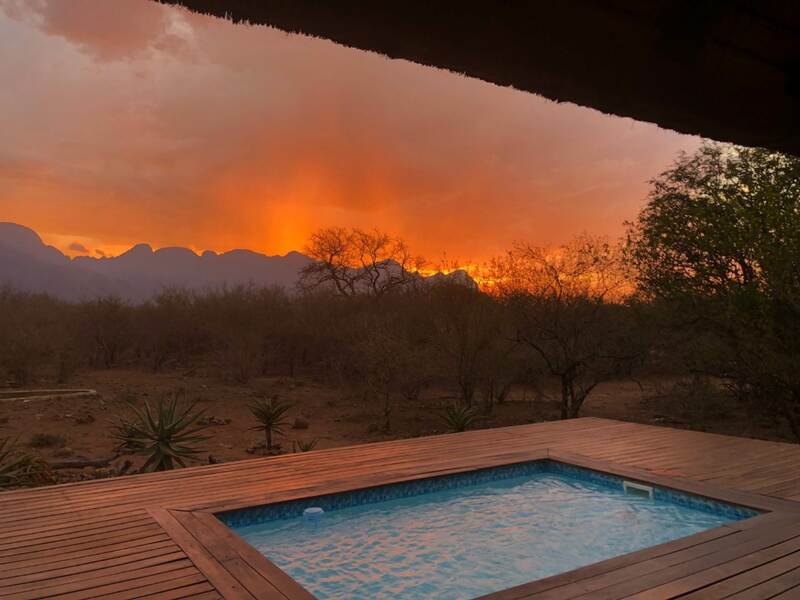 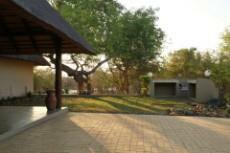 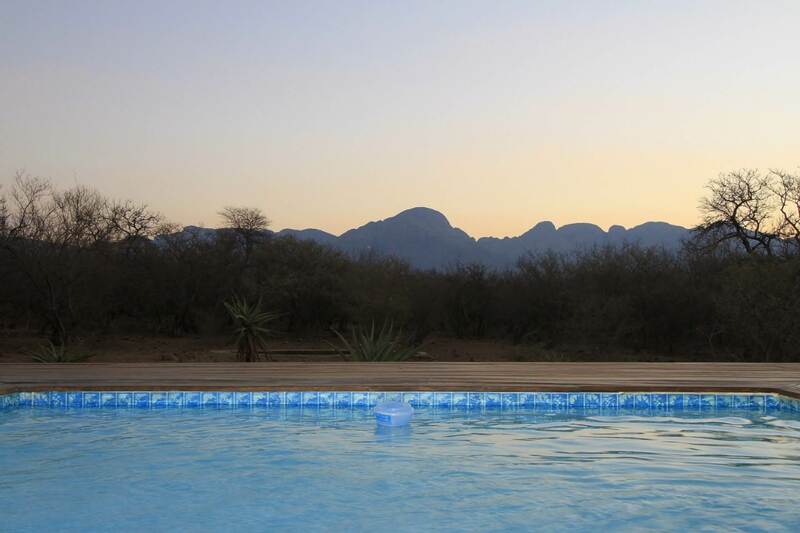 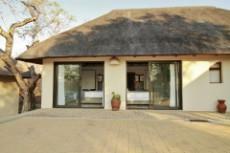 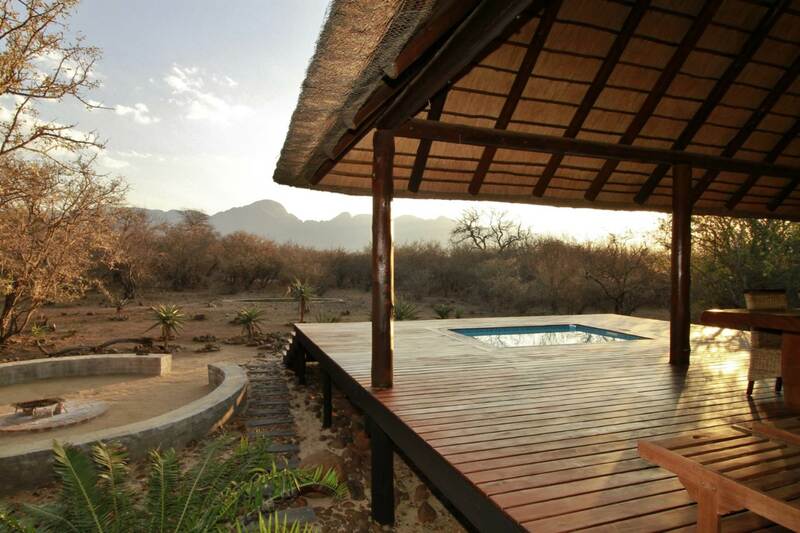 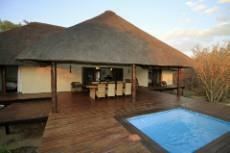 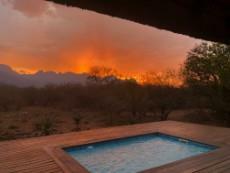 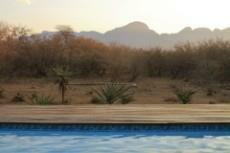 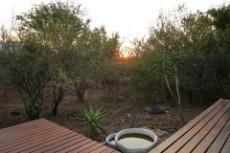 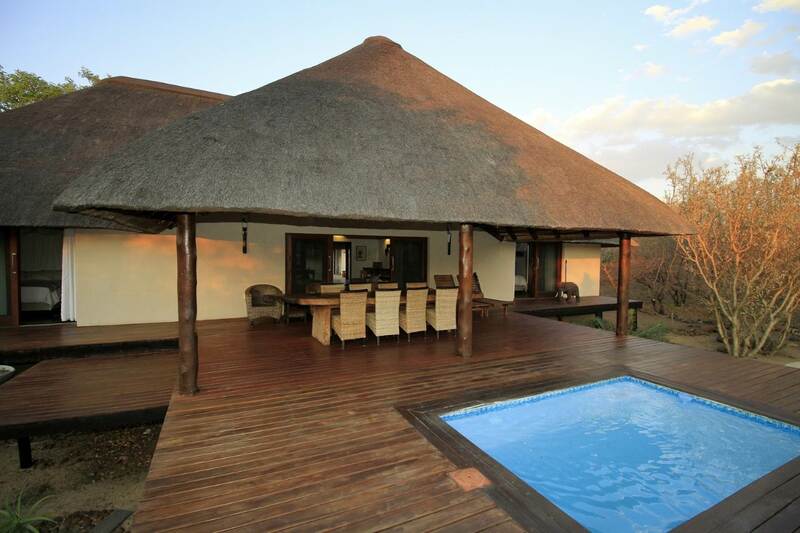 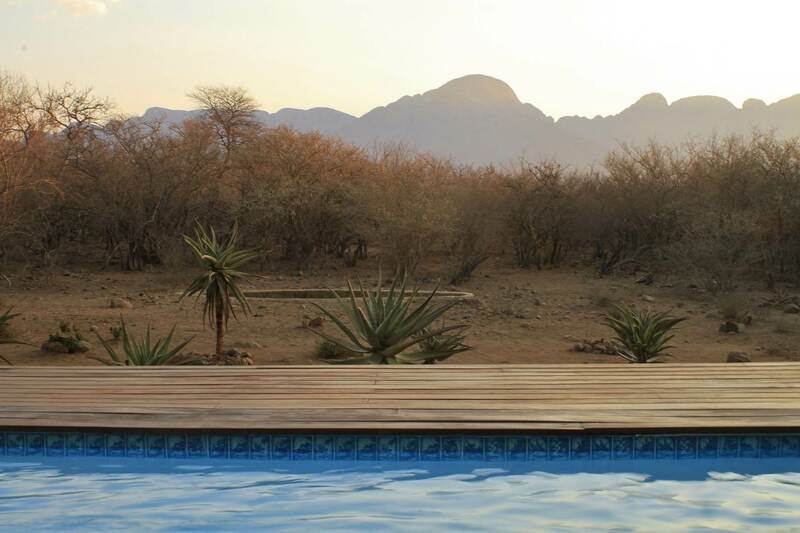 The sparkling pool and boma is perfectly positioned to enjoy this special bushveld setting and stunning mountain views. 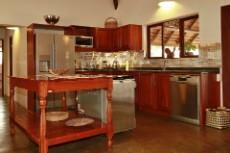 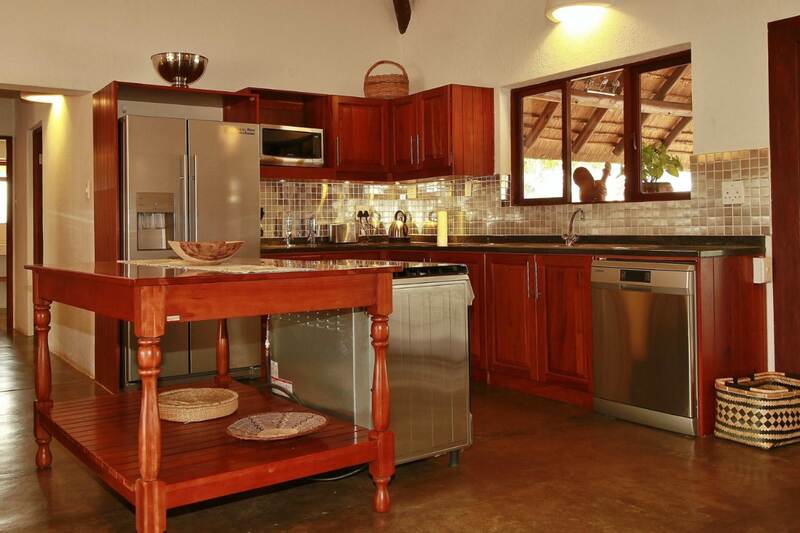 Solid Rhodesian teak kitchen cupboards with black granite tops makes this open plan kitchen a real feature. 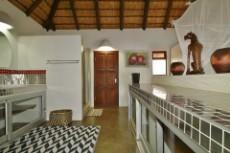 The large upstairs loft can be used as a TV room, play room or work from home office. 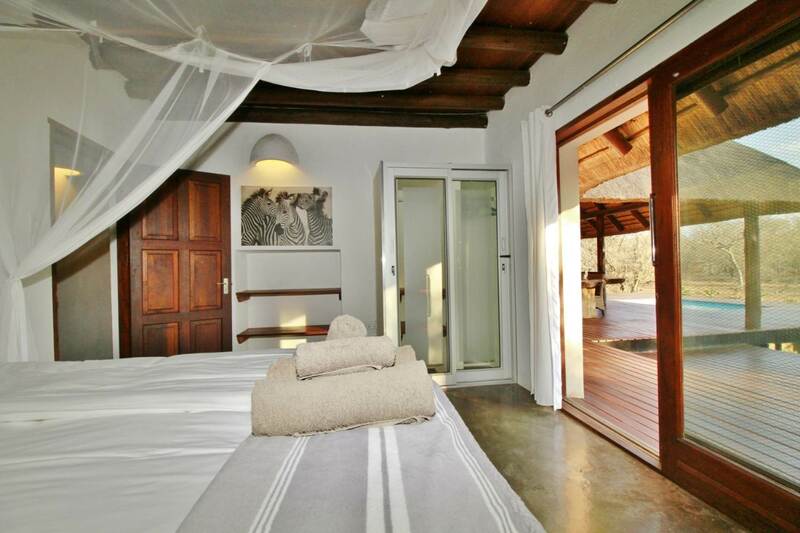 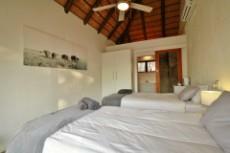 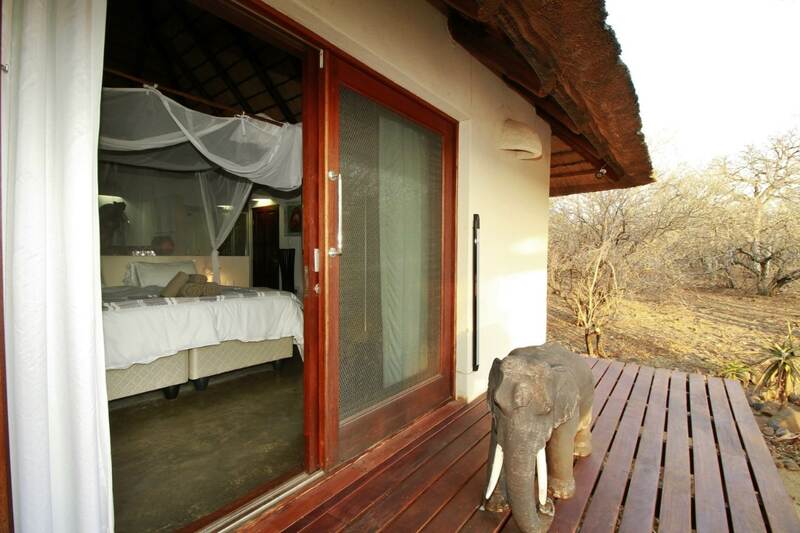 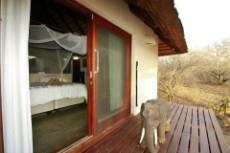 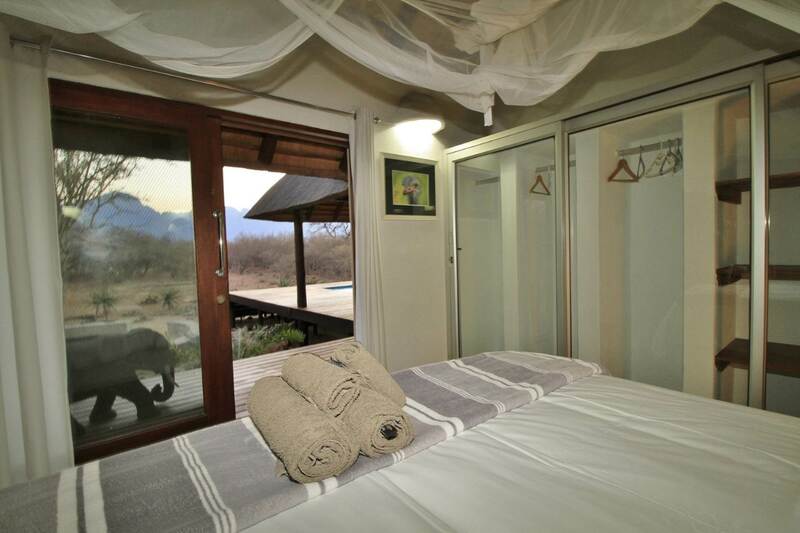 The main en-suite bedroom has stunning mountain views with sliding doors which open to the wrap-around deck. 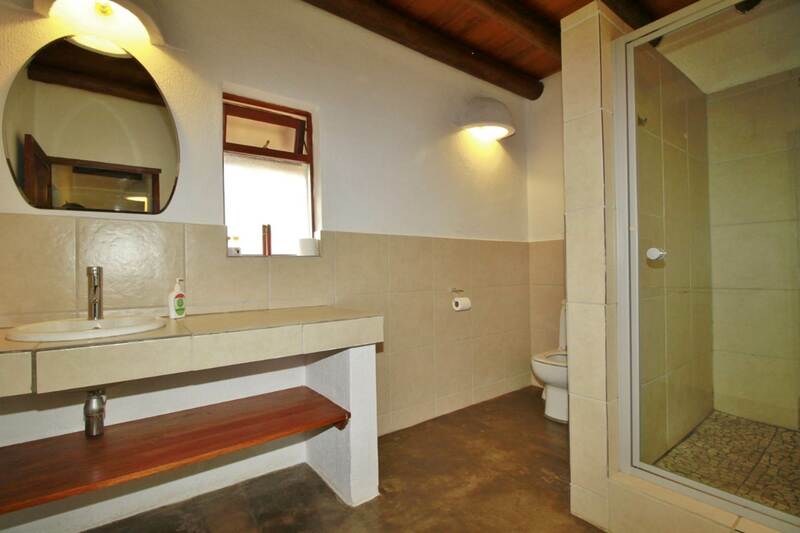 The bathroom has an in-door and out-door shower, double basins and a separate toilet. 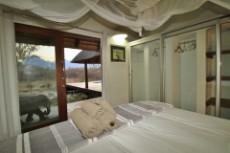 From the second bedroom there is also has great mountain views. The third bedroom is ideal for a child’s room or study. 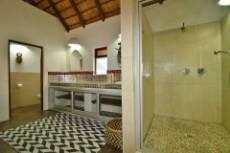 Both these rooms are services by the second bathroom consisting of a basin, shower and toilet. 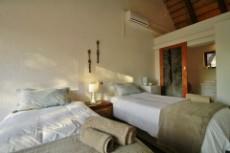 The two outside guest rooms offer privacy to visiting guests. Each has a bathroom consisting of a shower, basin and toilet. There is a second undercover patio with a braai which is set under a huge tree. 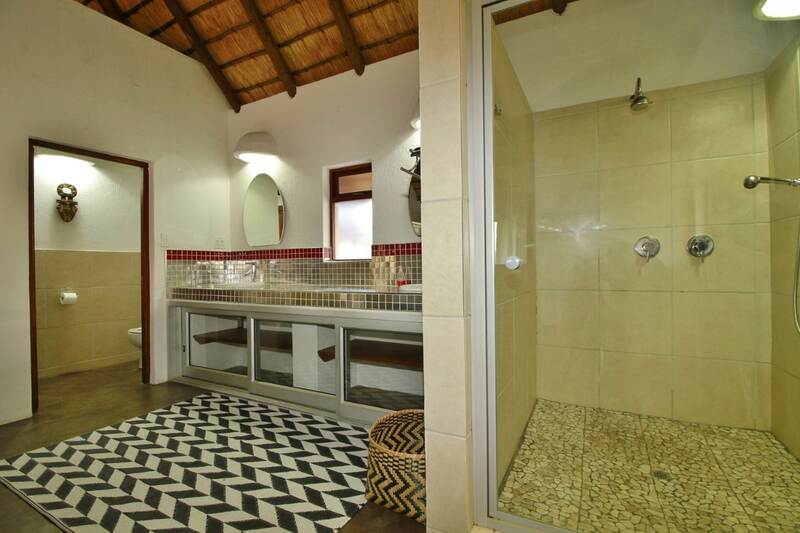 There is a separate laundry room, courtyard, staff room and bathroom, double garage and double carport. 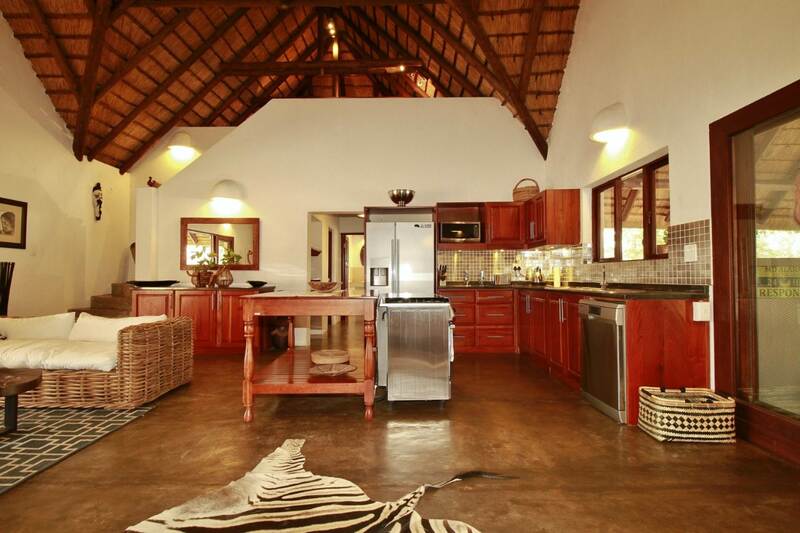 This house has it all - private location, beautiful views and loads of accommodation.